Come & throw axes for an hour! If it is your first time playing, an Axe Games coach will cover rules, scoring & show you the techniques on how to throw an axe. We have 1 hour axe throwing sessions starting every half hour. If you show up late it will result in reduced play time or possibly rescheduling your booking to another time. Please note: during busier periods groups with less than 6 players may be paired together on an axe lane (2 targets). If you would like to be guaranteed a private axe throwing lane a booking for at least 6 players is required. If you would like to add an additional hour of axe throwing – the 2nd hour will be discounted to $15/pp – subject to availability. Organized axe throwing tournament for your group. A dedicated Axe Games coach will be provided for your group for the entirety of the booking and will score, organize the games, & tournament bracket. With all 2 hour tournament bookings your group will have 2 private axe throwing lanes (4 targets) for your group for the entirety of the event. 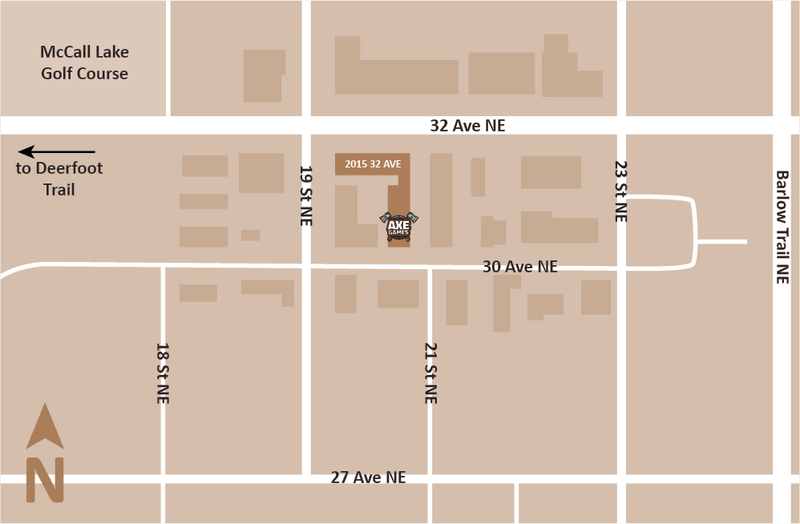 If you have more than 20 players take a look at our full facility rental or give us a call at 403-454-6878! 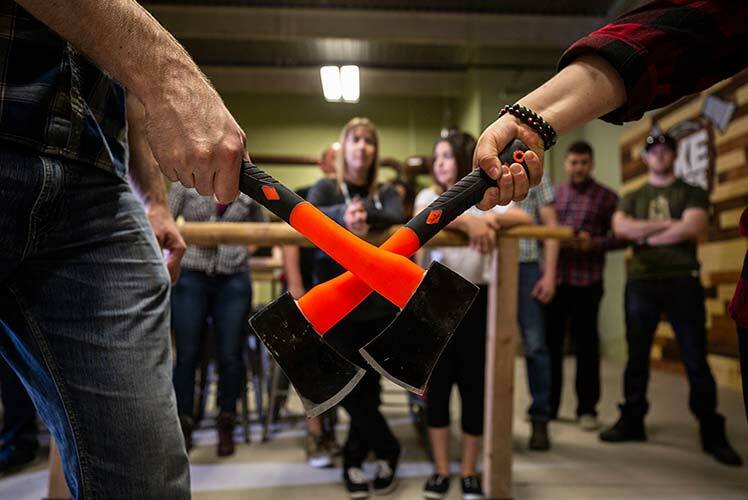 At Axe Games Calgary, we aim to revive the heritage sport of axe throwing and keep the tradition going. We are dedicated to providing a fun, safe and friendly space for people to get out, be active, socialize, learn a new skill and have a great time! We have a total of 8 axe throwing lanes that can accommodate groups of up to 40 people! Our axe throwing venue is great for work functions, birthday parties, bachelor / bachelorette parties, or just a fun night out with friends! 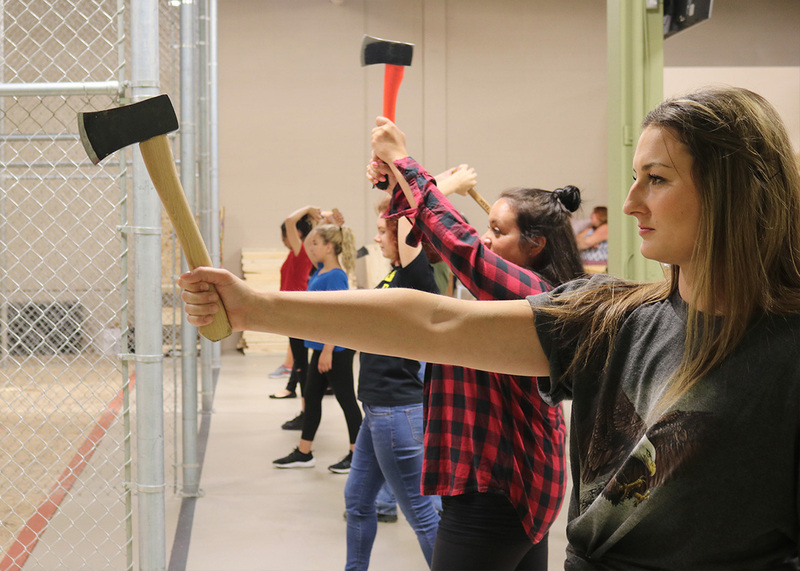 AXE THROWING FROM ONLY: $19.95/pp! 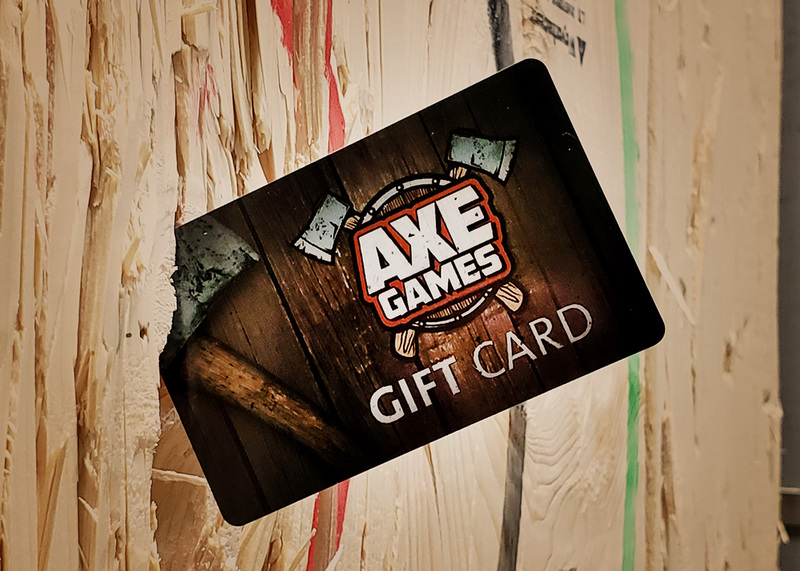 At Axe Games we offer 2 affordable axe throwing bookings: our self-scoring 1 hour axe throwing session ($19.95/person) or our 2 hour organized axe throwing tournament option ($34.95/person). 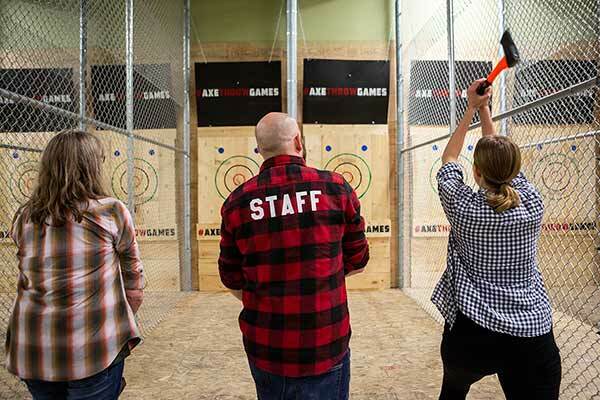 Axe Games Calgary is a family friendly facility, we recommend an age of 10 & up to participate in axe throwing. 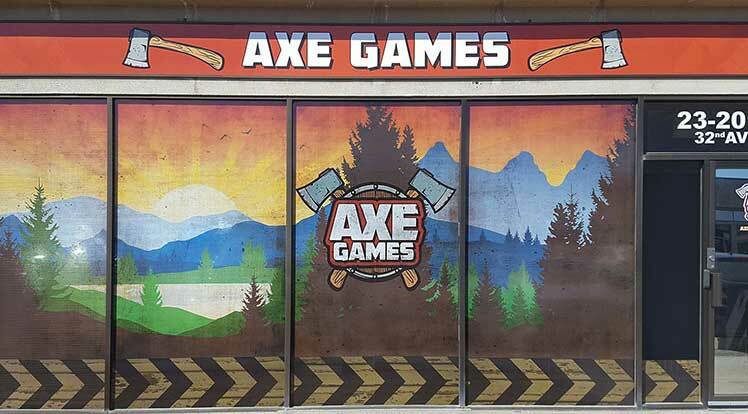 Axe Games is located beside our partner facility Archery Games. Want to play both archery arena tag and axe throwing in the same day? Give us a call: 403-454-6878 and ask about our archery & axe throwing same day discount! Good snacks and drinks, intimate location, fun and surprisingly tiring! Cool to throw the big axe at the end… little terrifying but worth it! Axe Games was awesome!! The staff were super friendly and the food was great. I will definitely be going back. Looking to book outside of our hours of operation? Check-out our: special event options.